Okpo Land can be found in Okpo City, Geoje Island, South Korea. 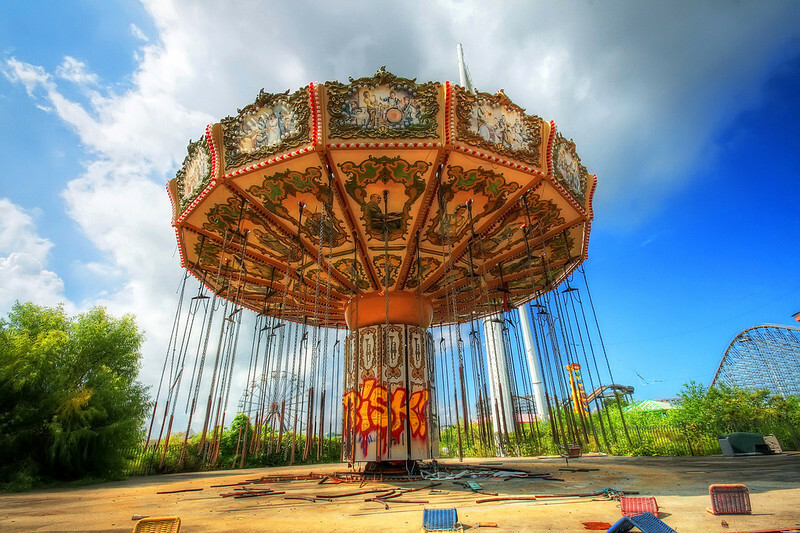 It closed in 1999 following a string of accidents. It’s apparently a very eerie place, perched on top of a hill on the tiny island. A young girl tragically fell to her death from a ride and, following the accident Okpo Land’s owner disappeared, never to be seen again. 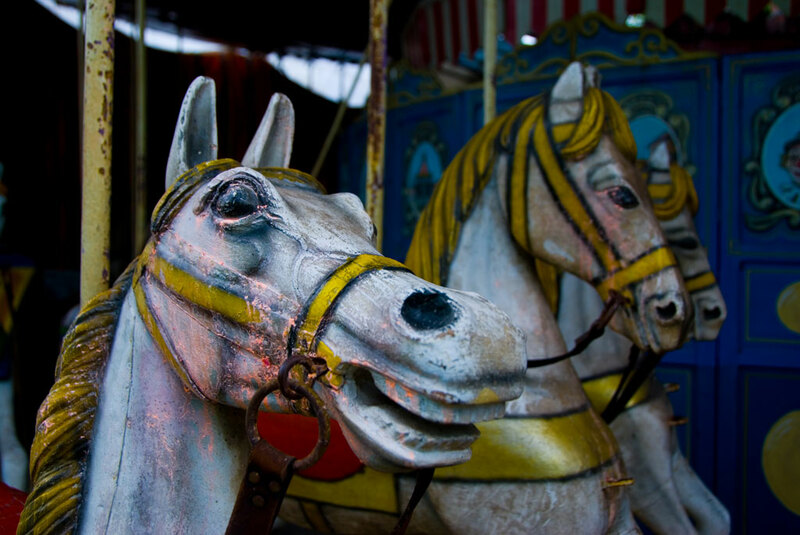 Still, the thought of ghosts of children roaming the empty grounds has done nothing to stop the pilgrimage of the photographers who return over and over again to capture some of the strange beauty of what was once a happy place. 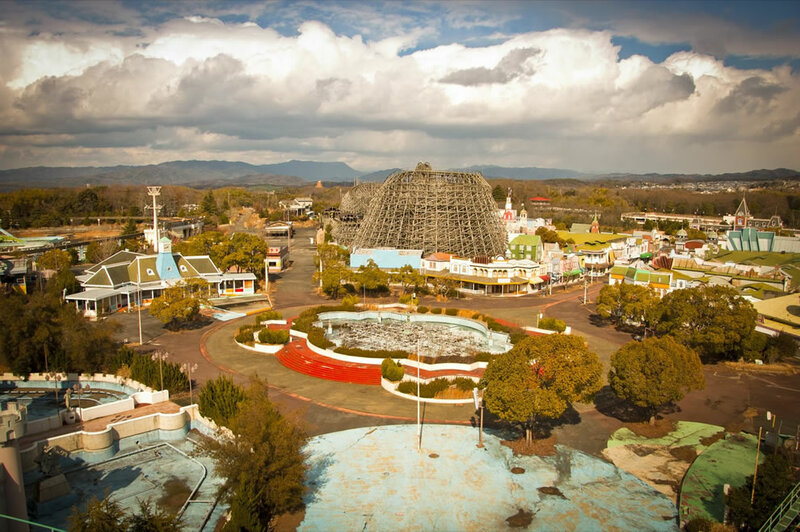 Nara Dreamland was built in 1961 near Nara, Japan. It was supposed to be almost identical to Disneyland, California and featured a train depot, Main Street USA and the Sleeping Beauty Castle. There was a Matterhorn Mountain, a monorail and a skyway running through the centre. 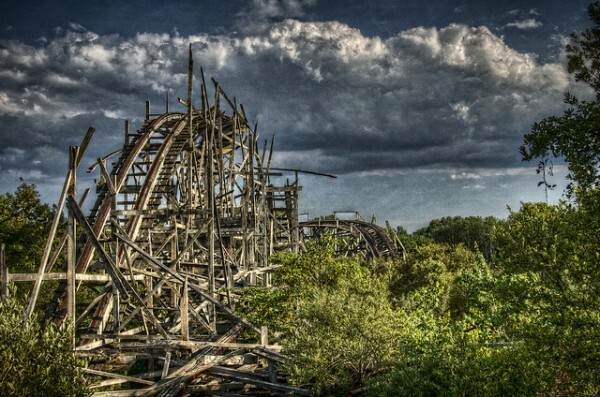 The wooden rollercoaster was modelled on the Cyclone at Coney Island. 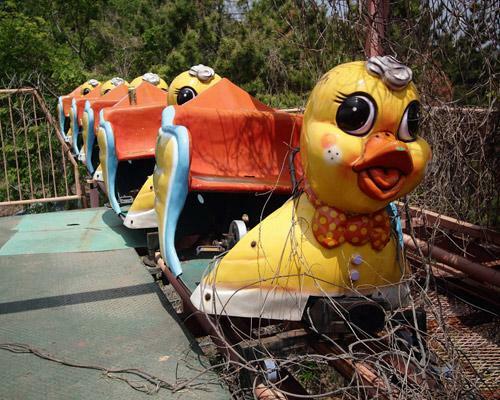 Nara Dreamland closed for good in 2006 and security guards still patrol to make sure nobody enters. 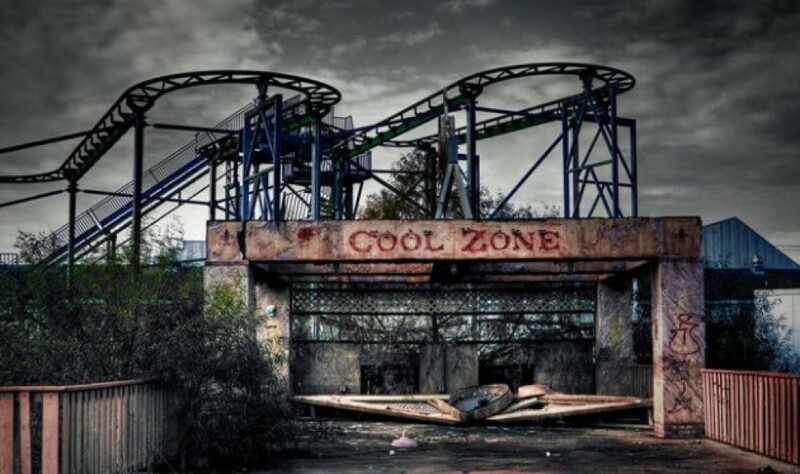 Six Flags Amusement Park is in New Orleans and was closed down shortly before Hurricane Katrina struck in 2005. It’s in a semi-ruined state and even though there have been plans on and off over the years to restore it to its former glory, it remains a ghost town. Anybody entering the site is threatened with arrest for trespassing. Keep clear. 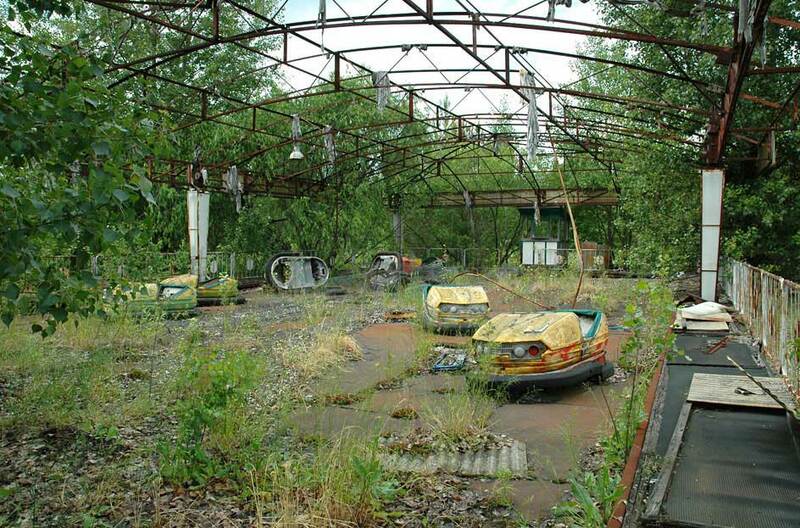 This amusement park near Chernobyl in Ukraine was built shortly before the nuclear disaster of 1986. It was built mostly to entertain the children of those who worked at the nuclear plant but, sadly, it was never officially opened.